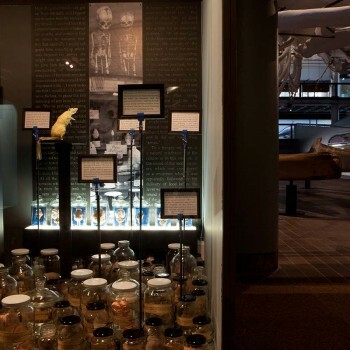 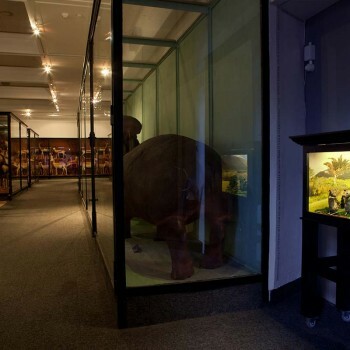 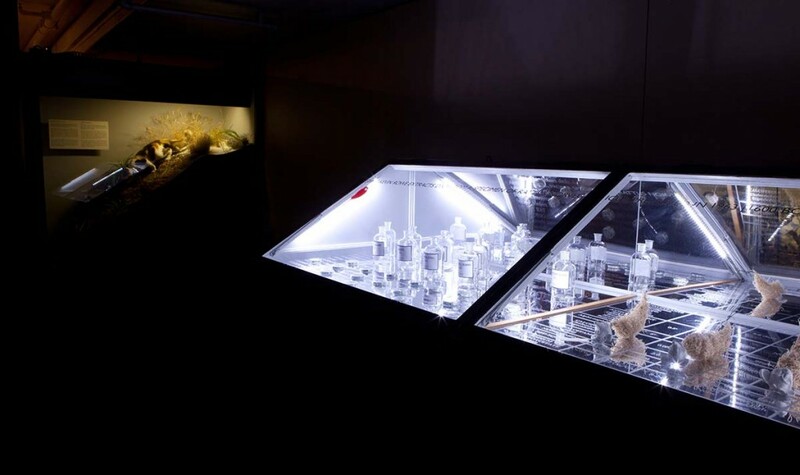 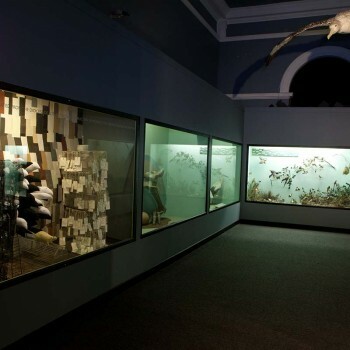 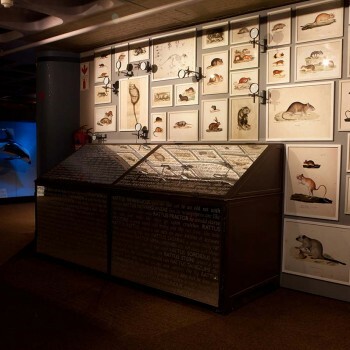 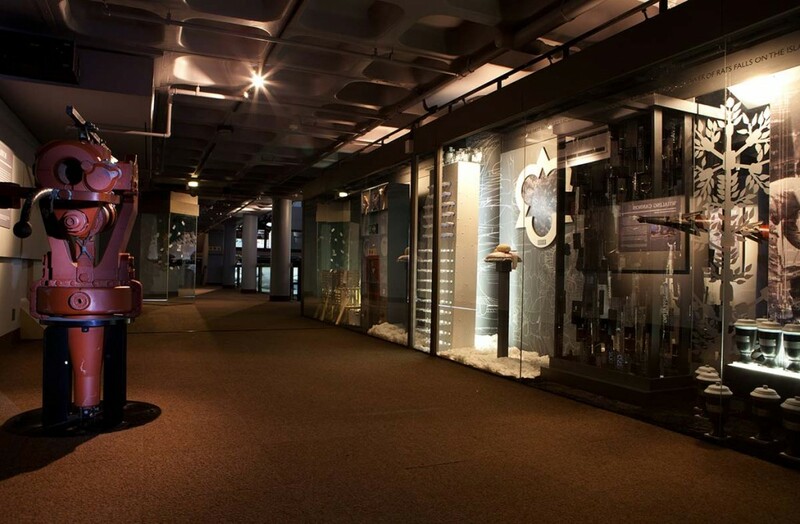 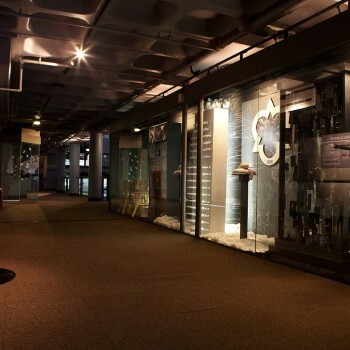 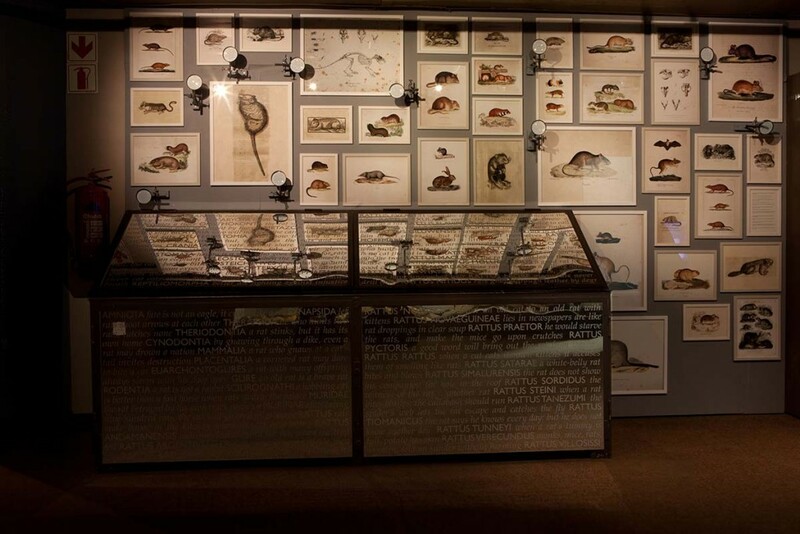 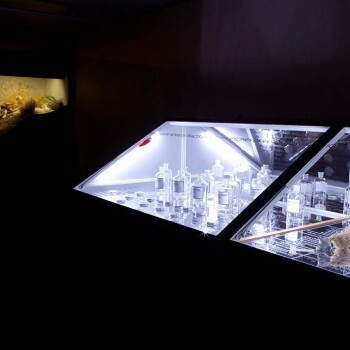 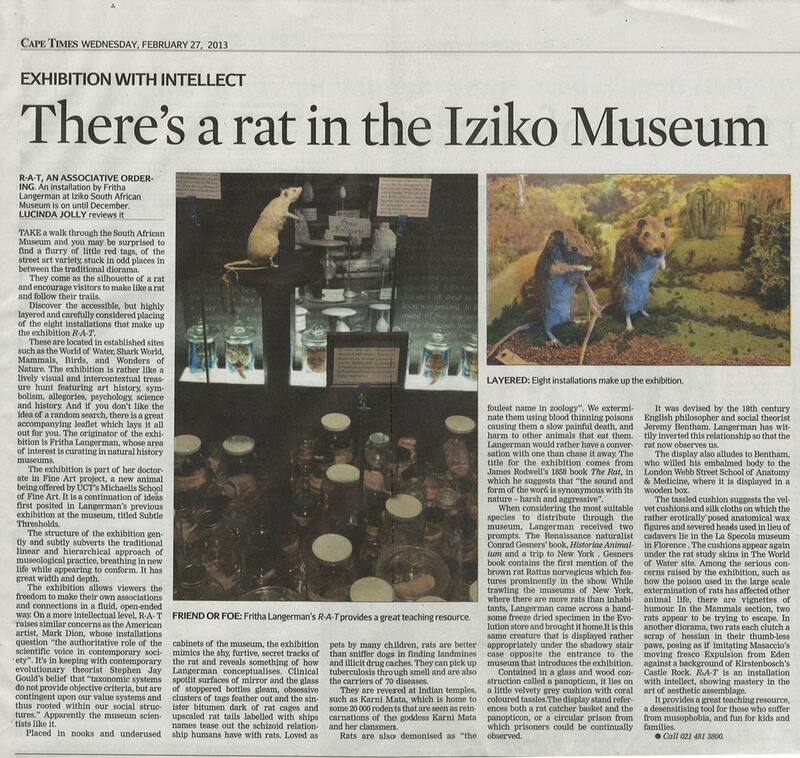 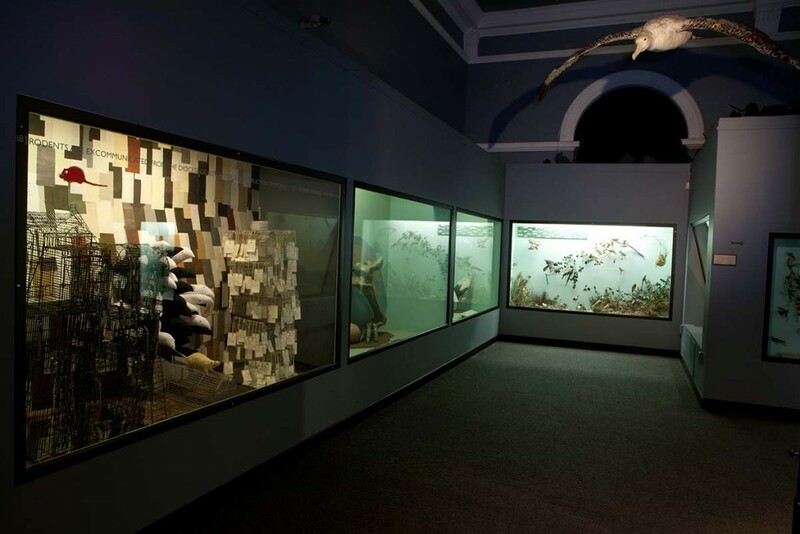 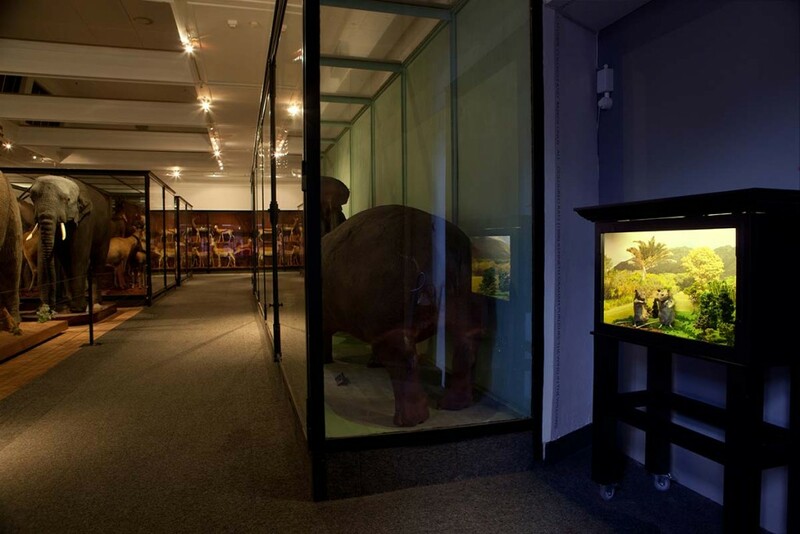 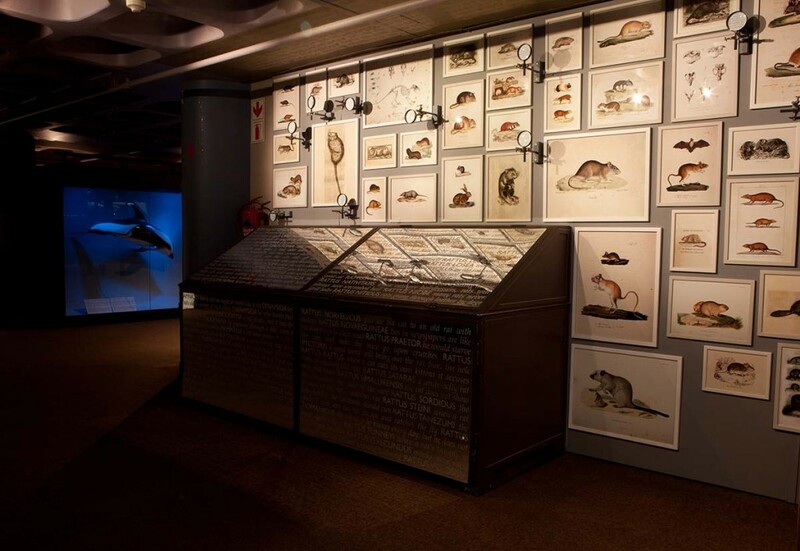 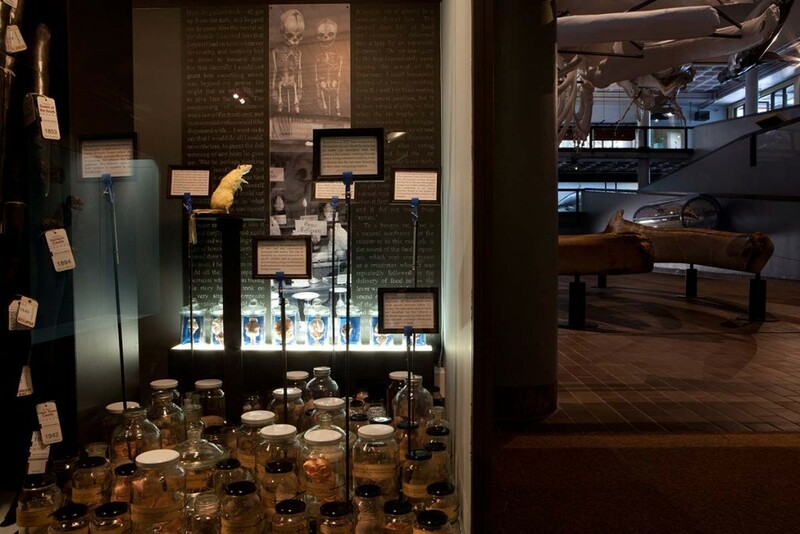 R-A-T made the culture of natural history display within museums part of its subject. 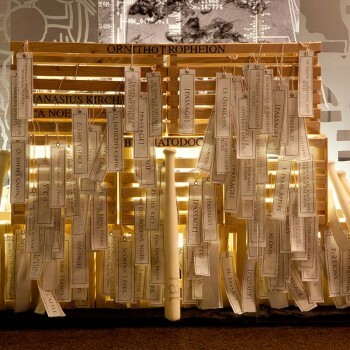 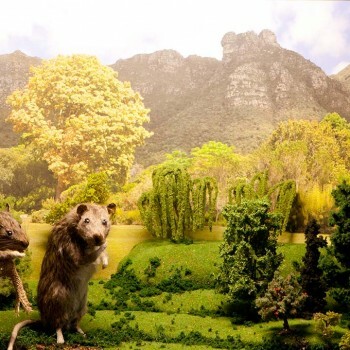 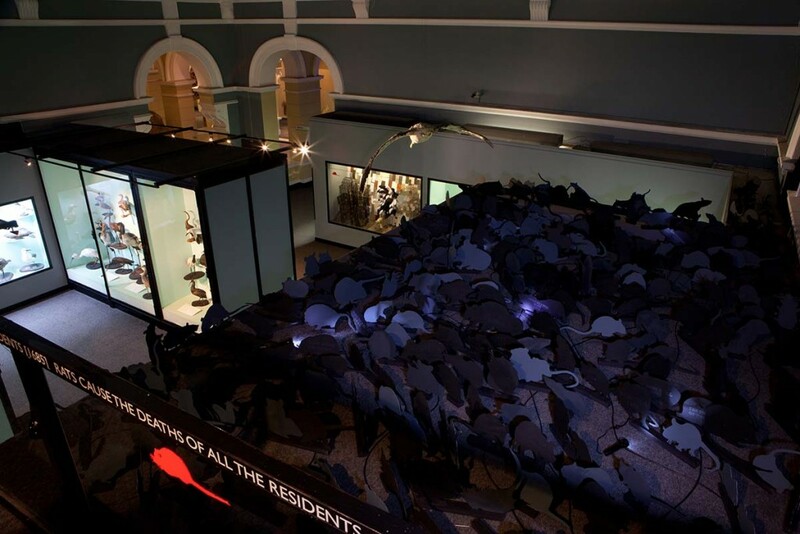 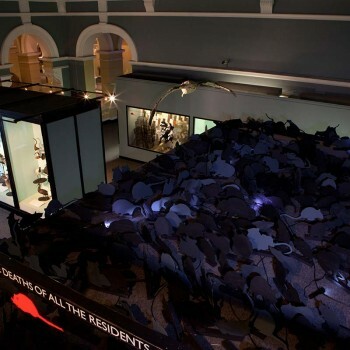 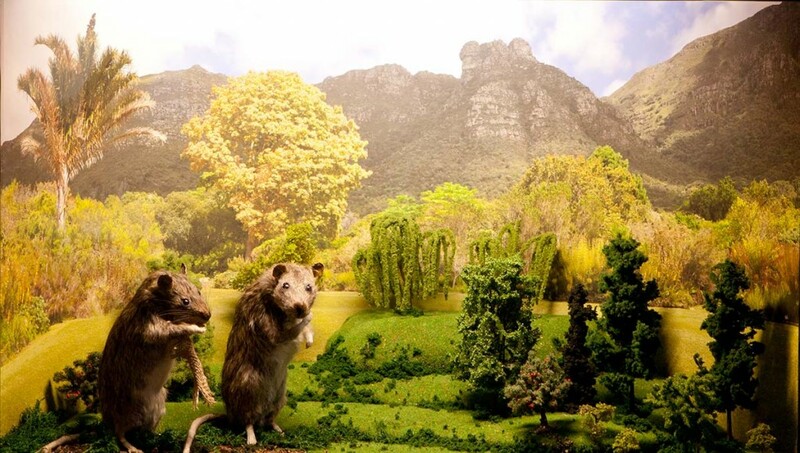 The Rattus norvegicus, an urban creature abhorred within the anthropocentric city, has been excluded almost entirely from presentation in museums of natural history. 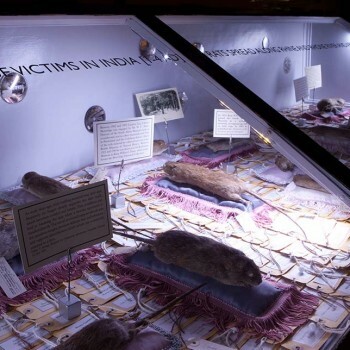 This, despite the fact that rodents make up 40% of the total mammalian diversity, and that Rattus is the largest mammalian genus, consisting of more than 60 species. 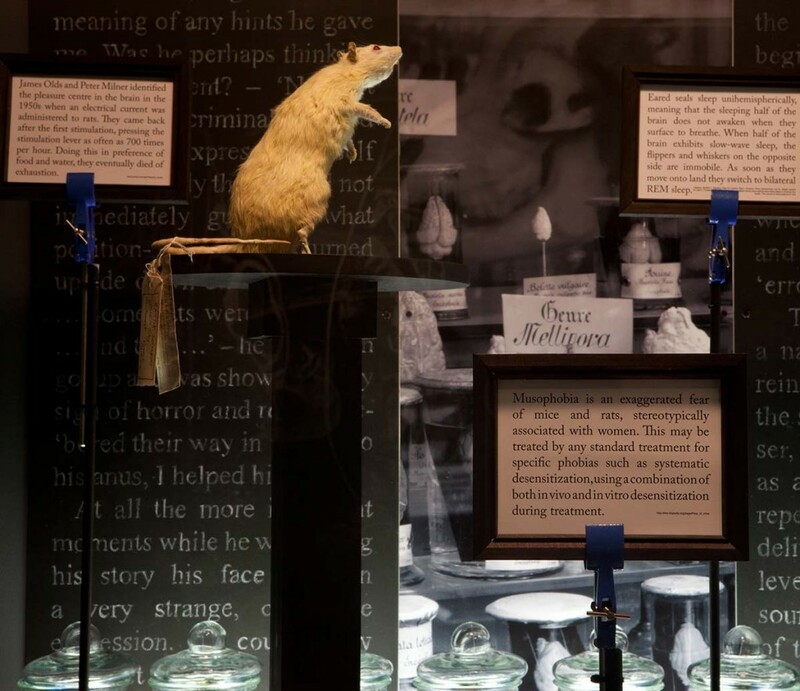 As an animal that is closely related to the development of human populations, the rat speaks as much to a cultural and social history as to a natural one. 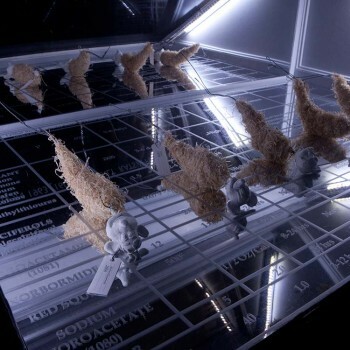 It is an icon of modernity: of disease, migration, stereotype, destruction, behavioural psychology, literature and pharmacology. 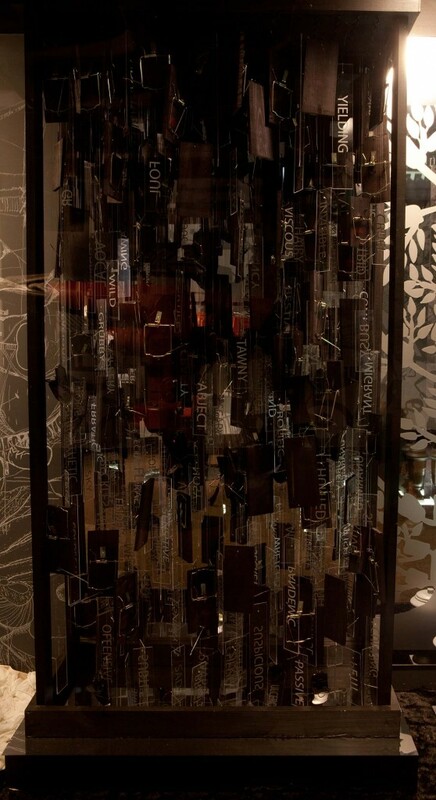 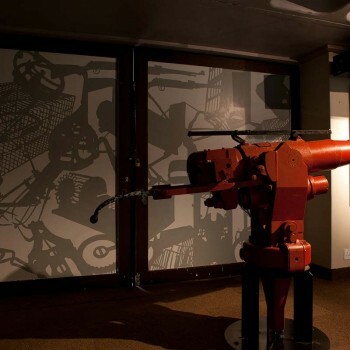 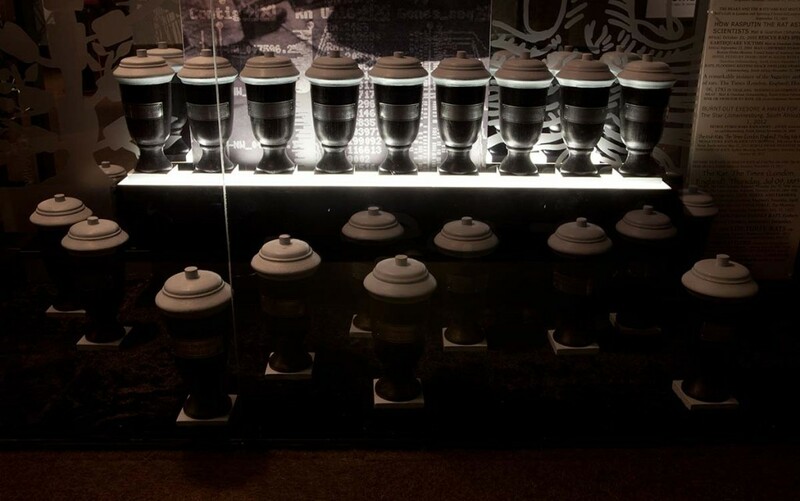 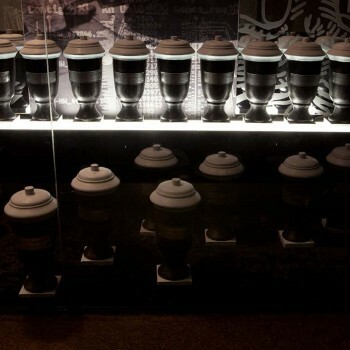 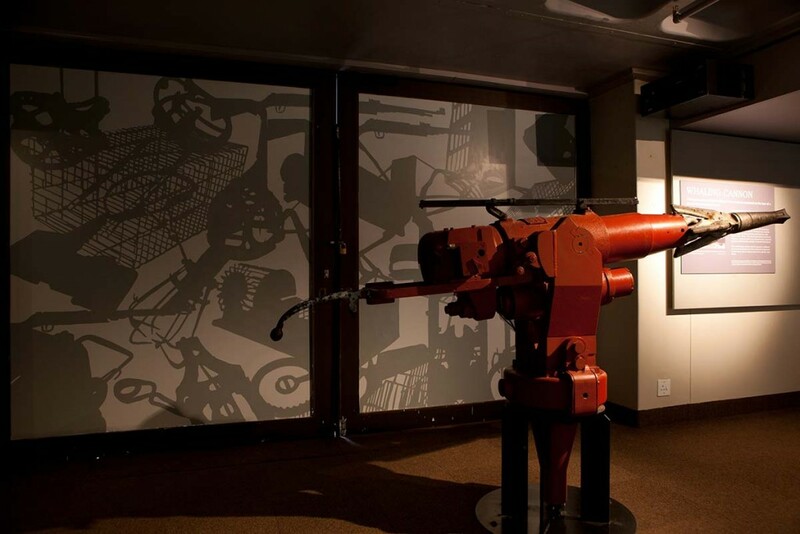 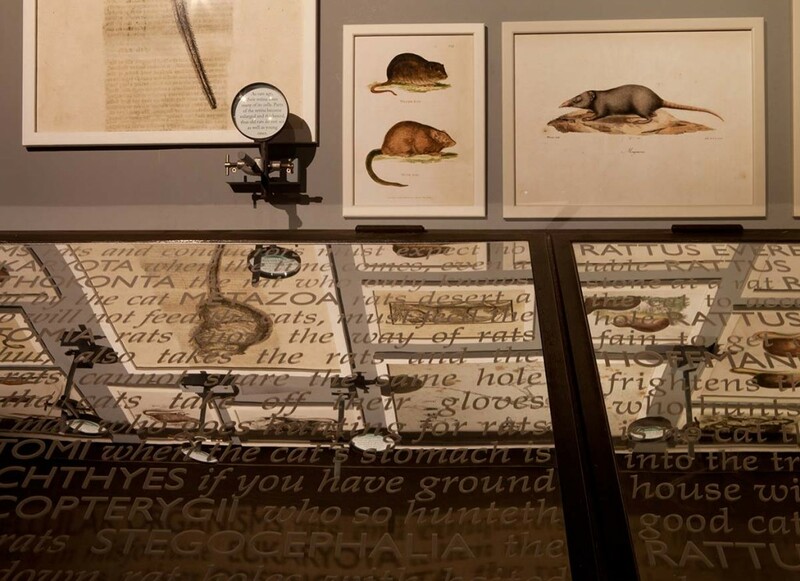 Rather than a discrete display, R-A-T is an exhibition dispersed throughout the museum. 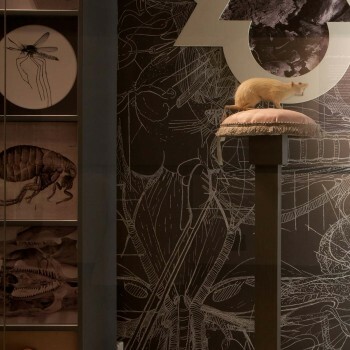 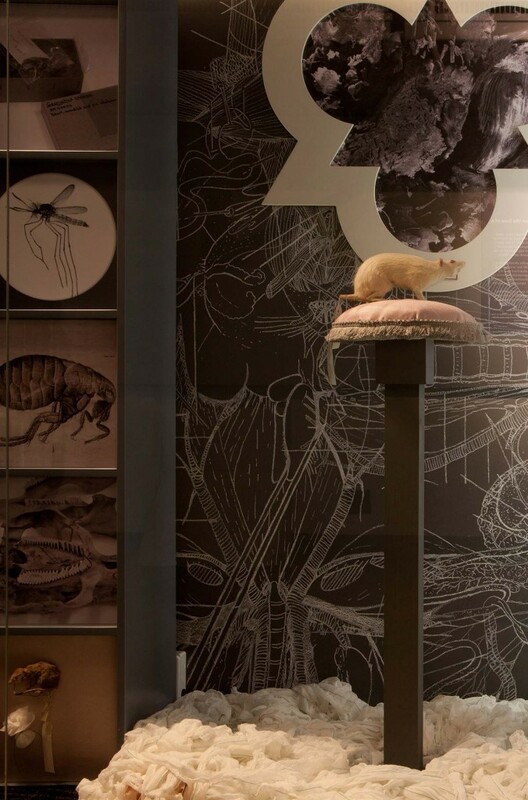 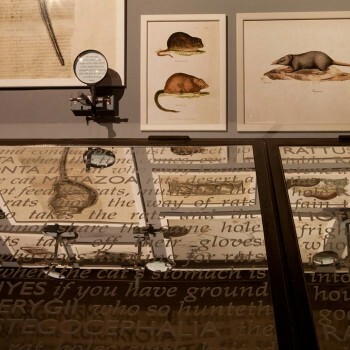 Furtively making its way into disused corners and cabinets, this spread introduces the rat in relation to ranging themes, forming a meta-narrative of connections while suggesting manners in which museum display impacts on the understanding of species. 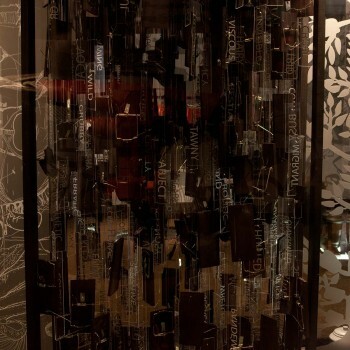 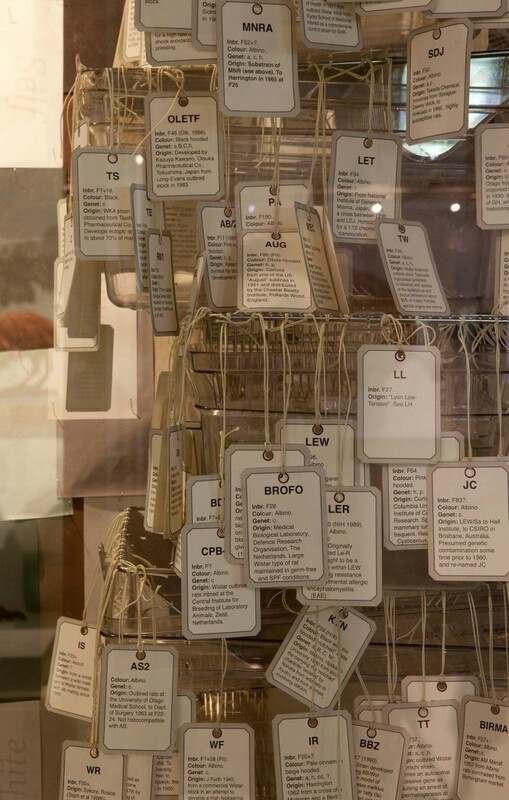 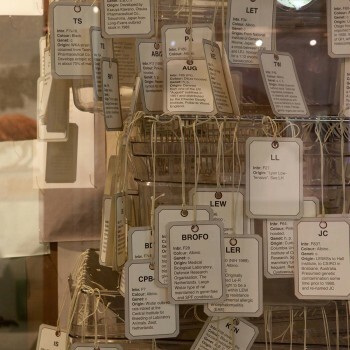 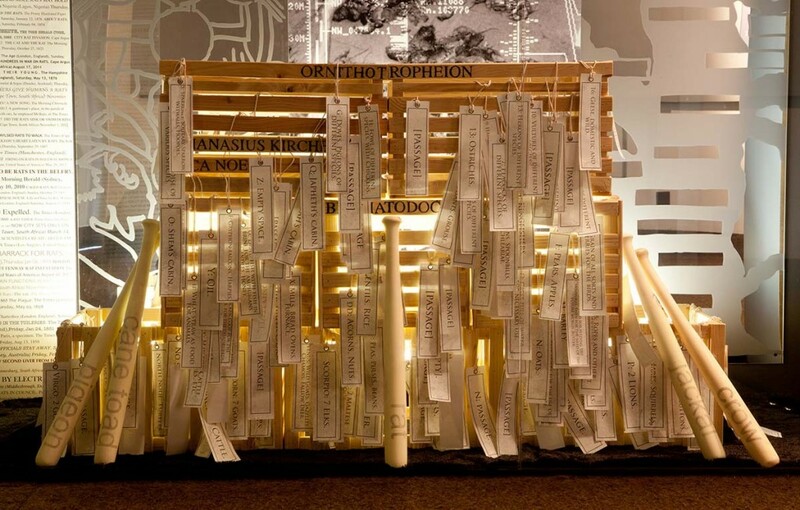 The exhibition uses labels and labelling as a central device – referring both to a history of museum practice and to classification and naming as a divisive societal process. 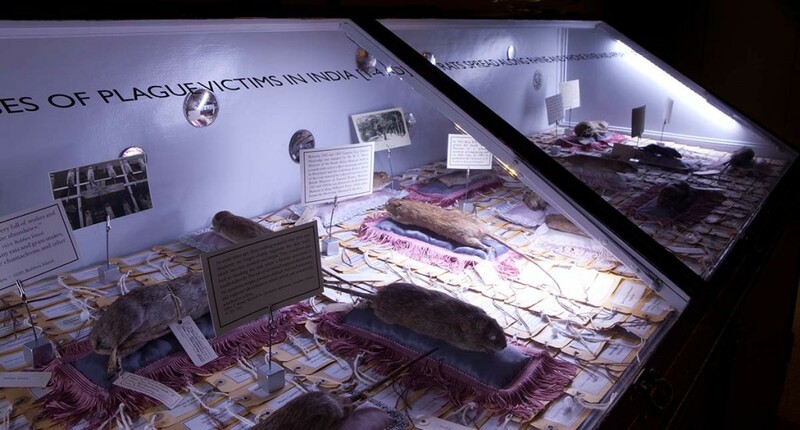 In this way terms such as ‘vermin’ can be ascribed to categories of animals that become lesser, allowing for their extermination on a mass scale. 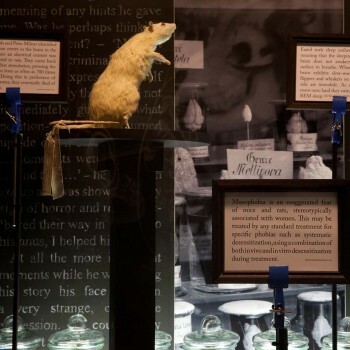 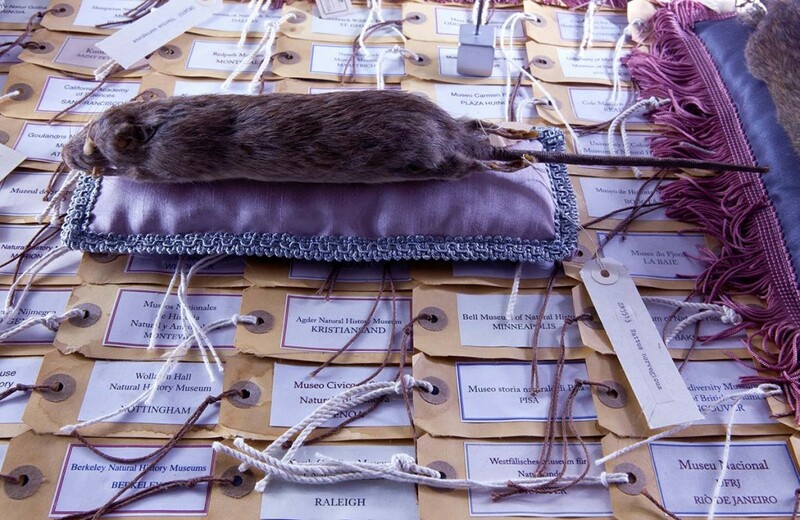 The exhibition pointed to the schizophrenic human relationship with rats that is at once able to treasure the rat as a loved icon of children’s literature and to allow extermination on a mass scale. 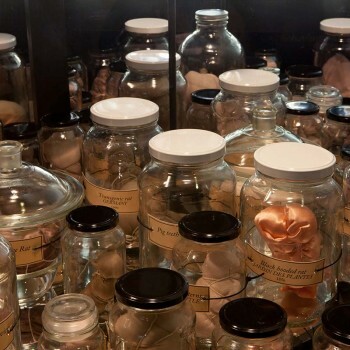 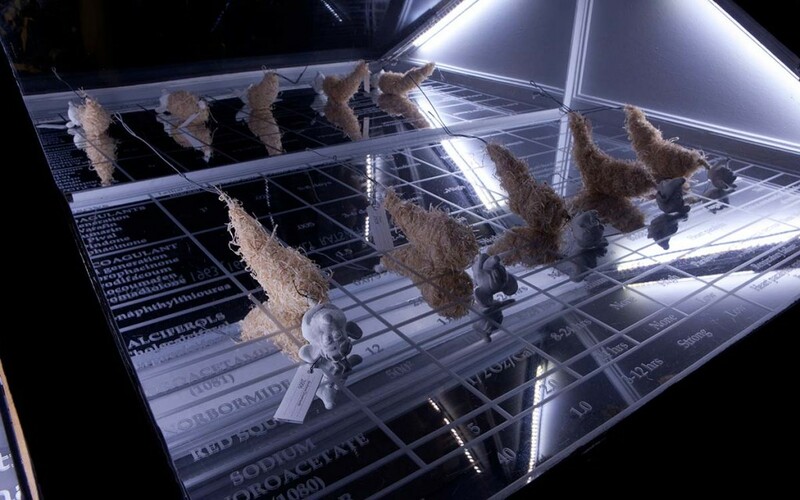 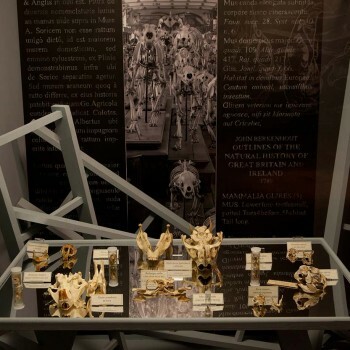 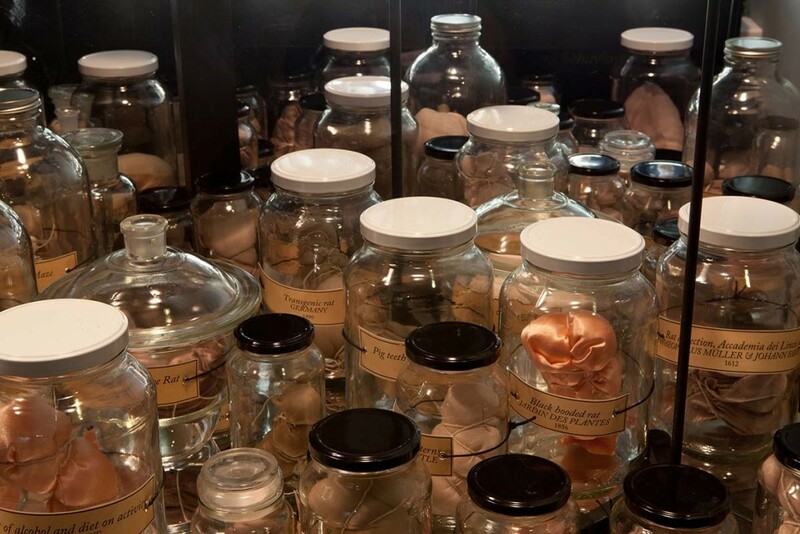 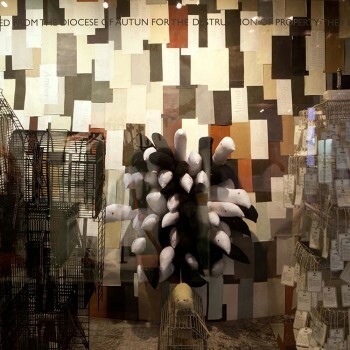 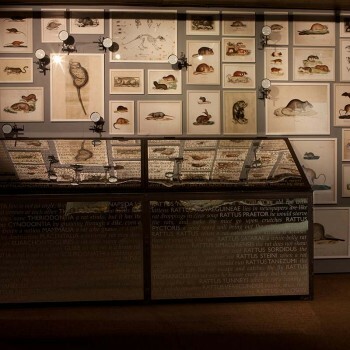 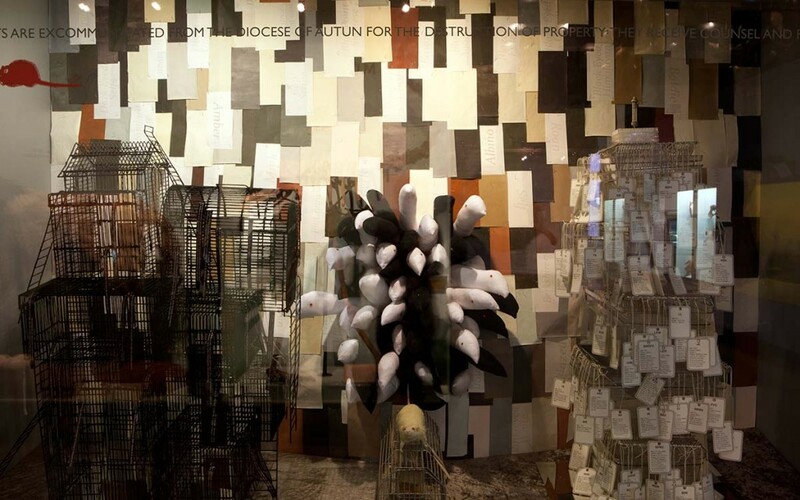 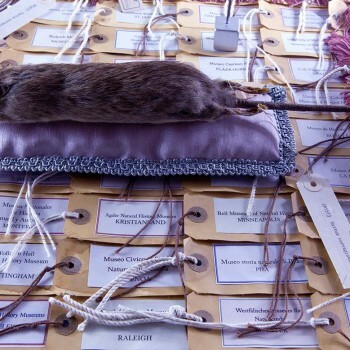 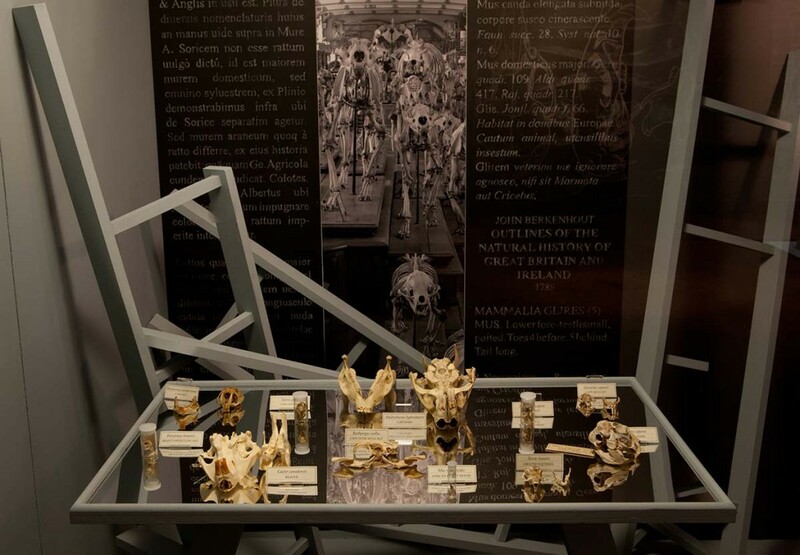 The rat straddles definitions and in so doing questions the premise of museums of natural history – what is meant by nature and what is natural?